What do we mean when we say sustainable lighting? 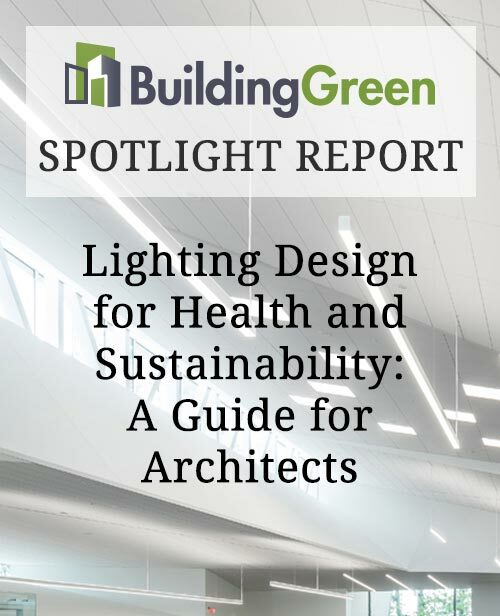 In this 17-page PDF report, we take a closer look at lighting as an essential element in quality environments that support health and wellness while reducing energy use. The functionality of a building is largely dependent on the quality of its lighting, which is often treated as a secondary concern, taking a back seat to form-making. Lighting design can have either positive or negative effects on people, especially in the spaces where many people spend a lot of time. In order to safely and comfortably perform their tasks, occupants need lighting that provides adequate visibility without causing discomfort or distraction. In this report we provide a look at how quality lighting conditions in buildings not only provide functional and comfortable spaces, but can also achieve efficiency. Describe how high-quality lighting design dovetails with sustainability by improving energy efficiency and supporting occupant health and well-being. Explain the sustainability benefits of daylighting, including increased energy efficiency and wellness, along with the drawbacks of poor daylighting design—such as excessive glare and solar heat gain, which can reduce energy efficiency and cause occupant discomfort. Define basic lighting terms, such as “play of brilliance,” “spatial daylight autonomy,” and “color rendering index,” along with the relevance of such lighting terms to improved efficiency and occupant wellness. Understand the expanding role of high-quality LEDs in sustainable lighting design, and demonstrate proficiency with the vocabulary of LEDs relating to efficacy and light quality.